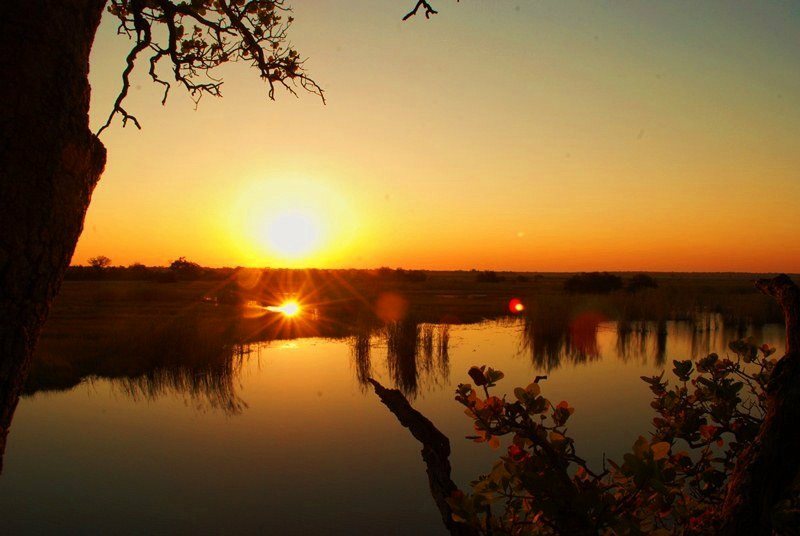 Our carefully chosen campsites represent what we feel is the essence of the Kwando. 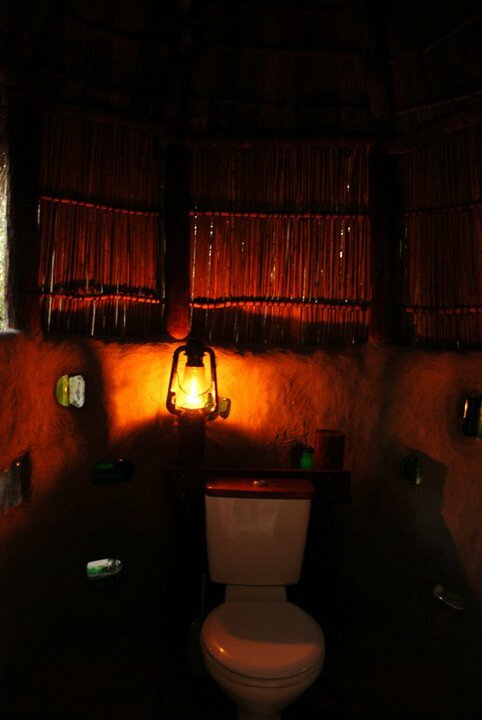 They are chosen for their beauty, abundance of flora and fauna, tranquillity and importantly, a stay at each means that you are making a direct financial contribution to local community projects. It is an initiative run in conjunction with the local community with a proportion of the financial benefits from the income generated going to community development projects. 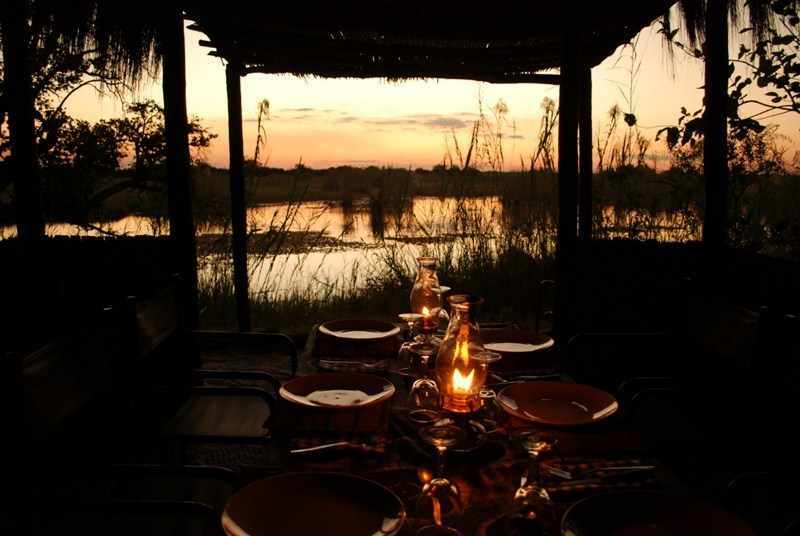 Mavunje lies on a beautiful lagoon opposite horseshoe and adjacent to the Ngonga wildlife corridor and the camp is close to the release boma for game re-introductions into the area with recent species released including impala, giraffe,eland and wildebeest. The reintroduced species are doing well and multiplying which is a great sign for the sucess of the conservation initiative in the area. In addition to this the camp is also utilised as a corridor by elephants traversing the river to and from Bwabwata National Park. Early risers may catch the elephants entering the river on their way back to the park. 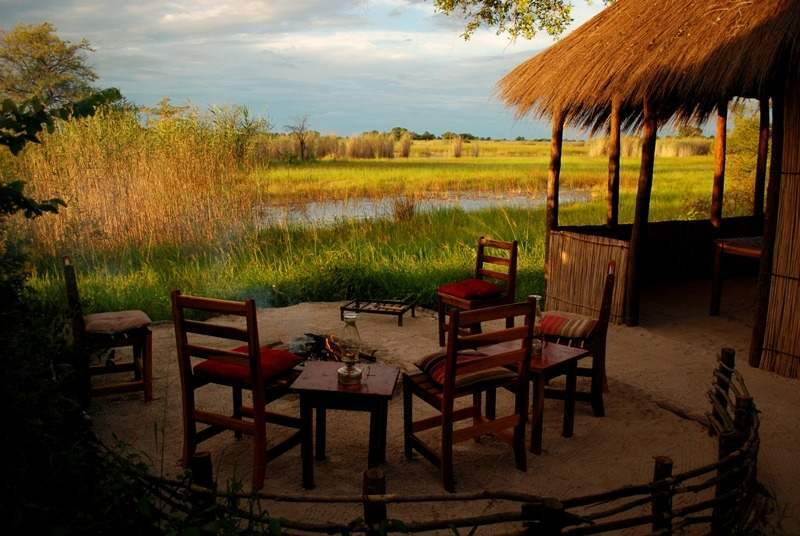 There are 3 campsites both private and intimate with stunning views over the floodplain. The sites both have private facilities including a dining area with furniture, a fully equipped kitchen, private shower/toilet. 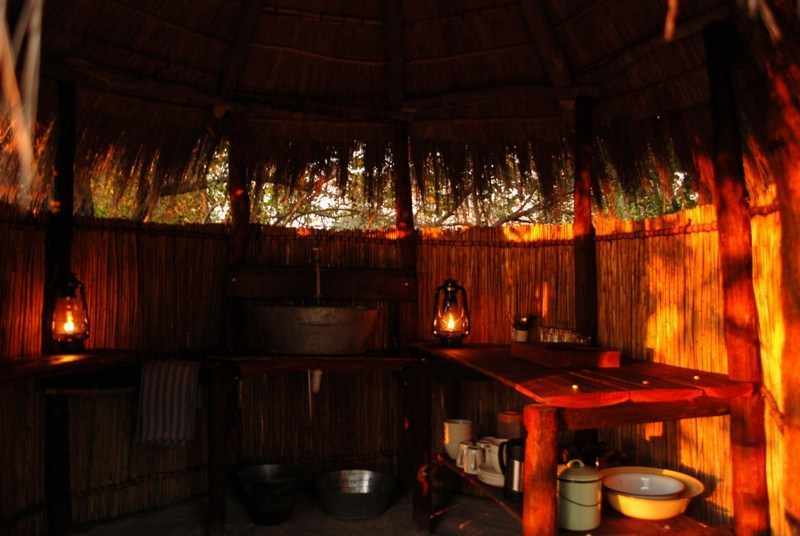 In addition to the campsites there is a basic private tented camp available for use with beds and linen, also with private dining area and kitchen. 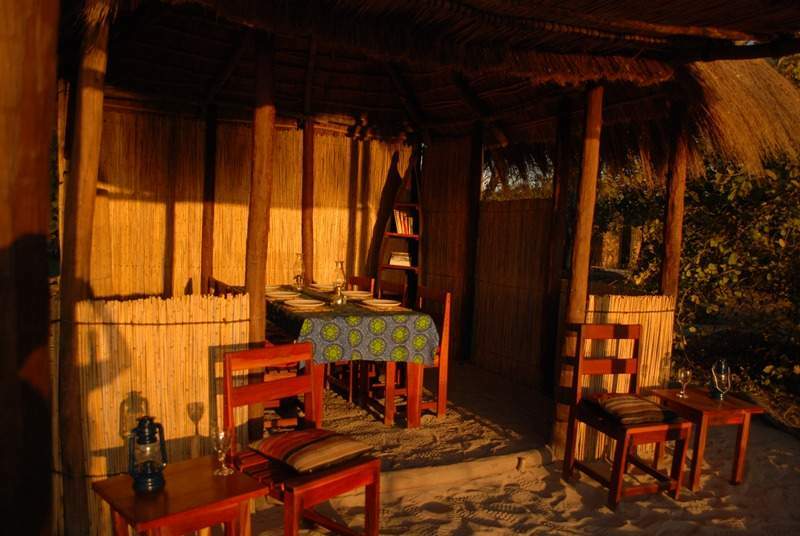 It is set up for self-catering but we can cater on request by advanced booking. All sites at Mavunje are available for hire to the general public. 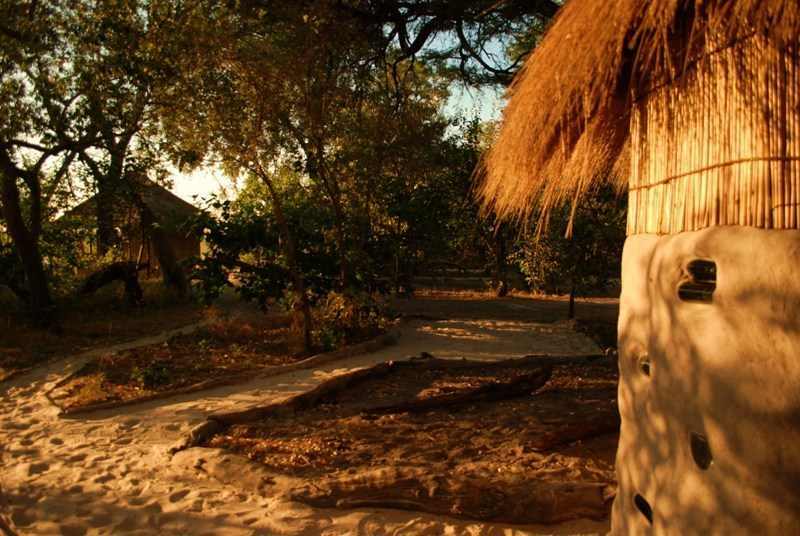 Njazanga ('my dog' in the Mbukushu language) is our exclusive campsite located on a remote floodplain island directly opposite Bwabwata national park. 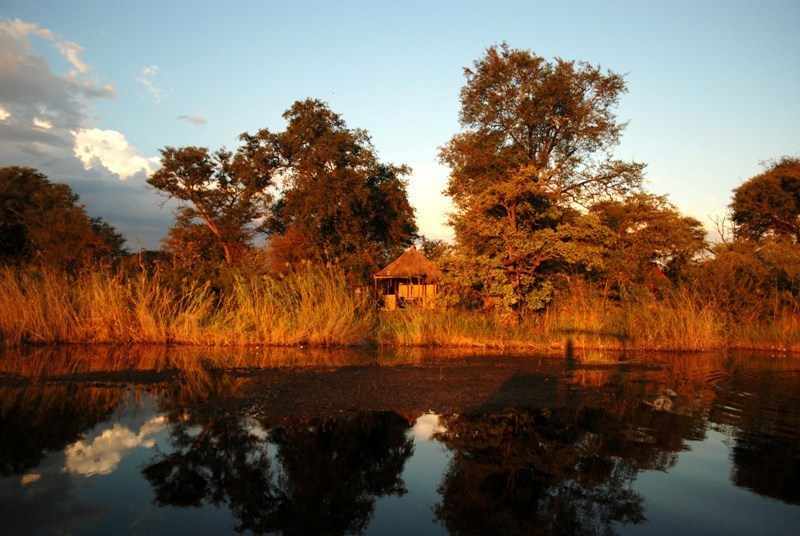 It is utilised only for our river safaris and made up of 2 parts, one of which is a seasonally flooded meadow with tree islets, separated by a beautiful lagoon from the other side the island which is a lovely piece of riverine island wooland consisting of huge knobthorn acacias and sausage trees which provide a shady understory. The island is home to red lechwe and sitatunga. Seasonally, buffallo and elephant cross the river directly in front of our campsite from the national park to utilise the food resources on the island.The surrounding lagoons are stuffed with hippo which graze the island after dark and the birdlife is varied with over 400 species recorded in the area including black coucal, lesser jacana and wattled crane. 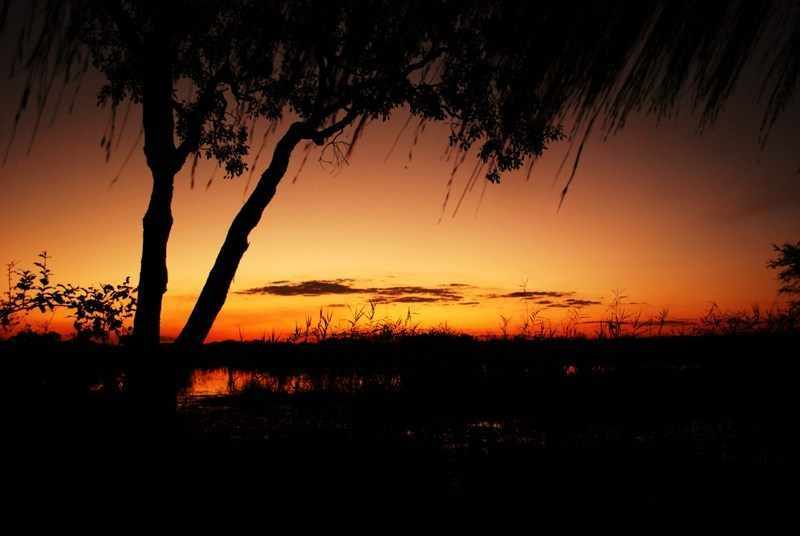 Mashi river safaris is in an agreement with the local community and traditional authority to ensure that only we are permitted to utilise the island for camping and walking trails,keeping the place protected and undisturbed. In addtion to these locations we also carefully select other sites on the riverbank within the mashi conservancy for their game viewing potential.